The goal of any healthcare provider is to constantly offer better services to their clients. It’s vital to understand how efficiently you are operating while finding areas to improve your services. 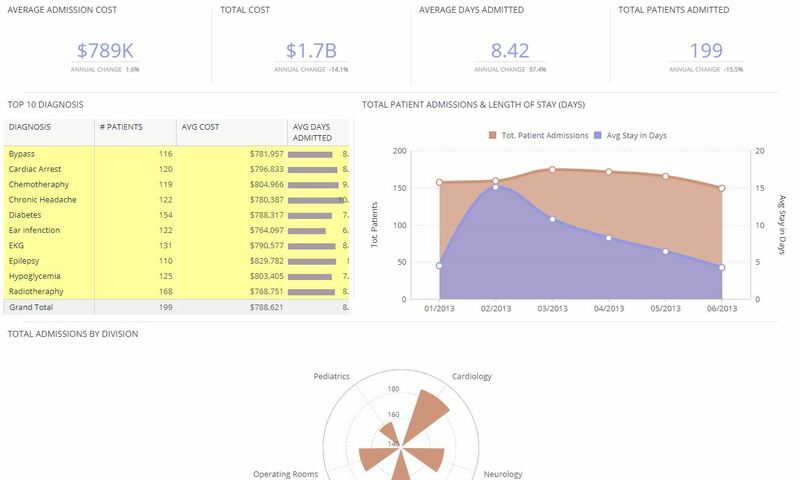 Key performance indicators in healthcare present you with a visual and easy-to-digest means of analyzing your operations. Comprehending each patient’s stay, how long they must wait for services, and how they perceive you can lead to valuable BI insights and actionable results. Why Are Healthcare KPIs Essential? Tracking your healthcare organization’s performance can help you improve services and give you a greater understanding of your operations. As healthcare professionals, the mission is to offer the best possible service to patients and clients, and to reduce mistakes that could be conceivably life-threatening. Healthcare KPIs measure how successful your organization is when it comes to achieving those stated goals. Additionally, they help bring transparency and accountability, leading to better overall delivery of care. By promoting process perfection, healthcare data analytics KPIs offer a clear roadmap towards implementing quick improvements that can have a significant impact on quality of care. Additionally, tracking financial metrics can reduce costs, improve budget management, and help ensure patients can pay for the care they receive with fewer issues. Finally, creating tangible and measurable KPIs gives you a useful data visualization tool that helps you build a better understanding your operations on a more granular level. Which KPIs Should I Choose? To choose the right KPI, healthcare specialists need to consider the goal of their metrics. One of the most common and effective uses of KPI is quantifying patients’ stays and experiences at a hospital. These KPIs measure the length of stays, how long patients must wait for service, and if they were readmitted. Curious to see how these KPI dashboards work in action? 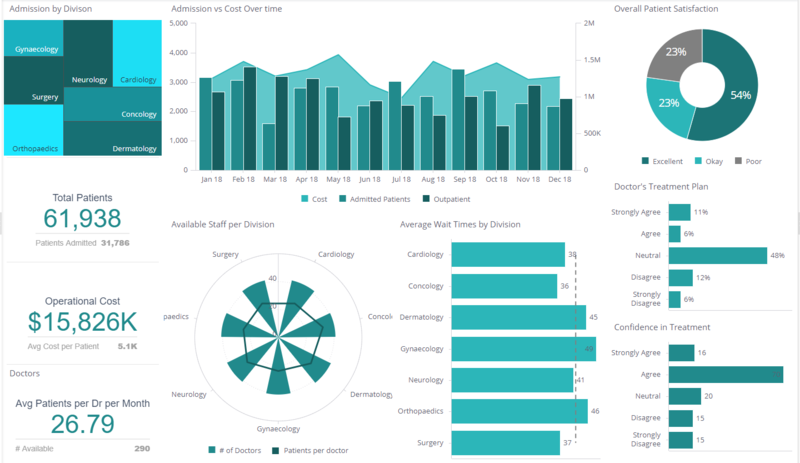 Click here to see some of our healthcare KPI Dashboard examples and online demos.